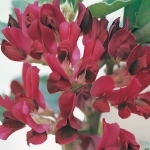 A true windowsill variety with all the hallmarks of a regular sized plant. 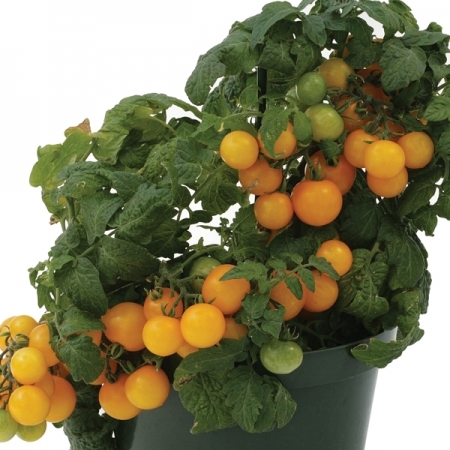 The plant crowds itself with mini trusses of fruit and happily grows in a 4-5" pot and reaches no more than 12-18" in height. Almost a pot plant and British bred. 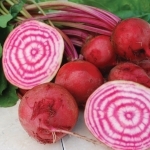 The counterpart of Neat 'n' Sweet Red producing a very respectable crop considering the small space it occupies. Bush. 12-18". 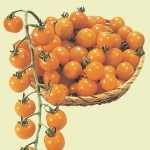 Tomatoes can be bush, cordon (single stemmed) or vine varieties. Side shoots should be removed from the cordon varieties but are usually allowed to grow on bush or vine types. 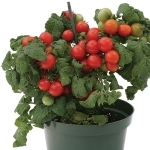 Vine tomatoes can be compact, intermediate or tall. 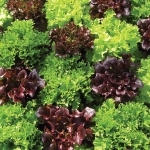 There are regular leaf varieties and potato leaf varieties, and types more suited to greenhouse or outdoor growing. Tomatoes are easy to grow from seed, and the flavour of a ripe, freshly picked, sun-warmed tomato has been likened to tasting sunshine. Tomato seeds should be planted from late January through to April and kept at a temperature of 70-80F where germination occurs within 7 to 14 days. When the seedlings are large enough to handle (2-4 leaves), transplant into individual 3 inch pots, and space well apart so that the leaves of one plant never overlap another, this helps prevent them getting leggy. Allow the roots to fill the pot before transplanting on again into Gro-Bags or 10inch pots. Keep tomato plants frost free at all times. Most tomato plants require some kind of support by the time they reach 8 inches, either staking, stringing up or the use of growing frames is recommended. 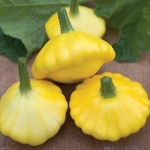 Lower leaves should be removed as they start yellowing, which improves air flow and helps speed up ripening. Tomato plants need a sunny position. Most cherry-type tomatoes do very well in sunny patio containers and hanging baskets. Be sure to offer plenty of light, and monitor moisture; plants grown in containers often dry out faster than those planted in the ground. Space tomatoes around 3 feet apart, it is tempting to place them closer together when planting out but as the plants grow the light and airflow around them will reduce and the risk of disease will increase if they are too close together. Water tomatoes thoroughly and evenly, but not too often, aim to keep moistire levels constant, avoiding over wetting or allowing the compost to dry out completely. Watering early in the day and keeping water away from the leaves where possible will allow the plants to dry off before evening and help to reduce the risk of disease. Tomatoes can be harvested when they begin to show colour, they will continue to ripen after being removed from the plant. However, the closer you can get to vine-ripened the better the flavour will be. Fresh ripe tomatoes should not be stored in the refrigerator. Flavour and texture begins to deteriorate when the temperature drops below 12°C . 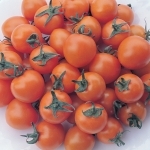 Tomatoes are best stored at room temperature away from direct sunlight until ready to use. Refrigeration slows the ripening of tomatoes. Refrigerate only extra-ripe tomatoes you want to keep from ripening any further.